Dammar Varnish is simple and easy to make, dissolving in turpentine or citrus solvent. Once the solvent evaporates, it leaves a coat of pure, shiny resin. Dammar can be used as a final protective varnish for Fine Art on rigid supports such as Oil, Tempera and Encaustic. It also is a strong glossy varnish on wooden or painted objects. Choose a wide mouth jar with an airtight lid large enough to fill with 200 ml of solvent and 100 g of Dammar Resin lumps. 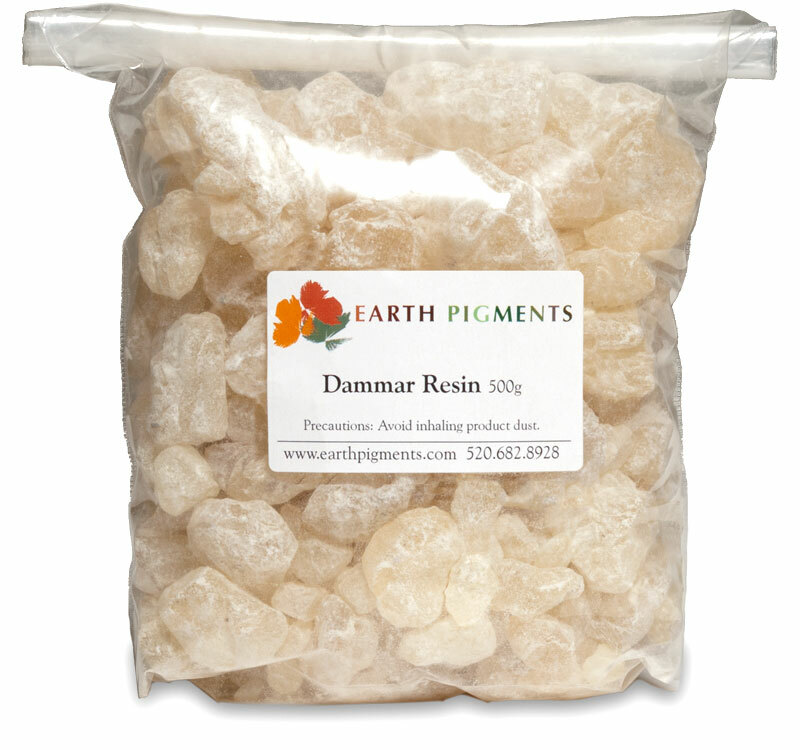 For a cleaner solution, you may wish to purchase our 100 g Dammar Resin packaged in a cotton bag, ready for immersion. Submerge the resin and cap the jar to allow it to completely dissolve. It is important that the mixture not be exposed to air as this will evaporate the solvent before it has a chance to dissolve the Dammar. The resin will begin to dissolve right away. The process can be accelerated by placing the jar in the warm sun and occasionally turning it to stir up the mixture. When the solution is ready, you may wish to strain it again through cheesecloth while decanting it into your bottle for storage. For use as a painting varnish, dilute this mixture again with an equal amount of solvent. Drying time is quick, about 1 hour.